Every coach is concerned with how coachable an athlete is. How concerned should a player be with a coach’s coach-ability? I think it ought to be crucial to you, even if from a purely selfish standpoint. If you happen to love your coach, love listening to his pep talks and philosophies, and want to do everything your coach says in the best possible way, you are lucky and will probably be able to listen attentively and flatteringly and do your best effortlessly. In other words, you are probably a joy to coach and you need not concern yourself further with this subject. But what if you don’t like your coach? What if you don’t particularly agree with the things he says? What if you think he doesn’t know what he’s talking about? My answer to all those questions is the same: So what? There is no need for your likes and dislikes, your personality preferences, and your philosophical tastes to get in the way of your performance in a sport. And be sure of this: if you are in constant conflict with your coach, and showing it, your performance will suffer. You won’t get things done as well as possible when your focus is on conflict, and the coach won’t instruct you and spend the time to make sure your abilities can be used fully. Be sure of this: if you are in constant conflict with your coach, and showing it, your performance will suffer. You don’t have to be a wimp to be coachable. You are free to disagree, to talk to your coach, to try to get him to see things your way. But once the talk is over, your job is to nod, accept, and do the best you can under the circumstances. I’ll go a step further. You can try your best—after the season—to get the coach fired if you feel that strongly. But during the season, your best course of action is to be as coachable as possible, to work with your coach to bring about the best results you can under the circumstances. It doesn’t have to be a joy to be coached in order for you to work toward being considered a joy to coach. In fact, in many ways it may be good for you to have a coach who forces you to make a big effort rather than having someone who is your idea of the perfect coach. The world, as you can no doubt guess, is hardly full of perfect coaches and bosses and supervisors, so why get so pushed out of shape simply because your coach isn’t exactly what you hoped for? And guess what? Very few players think they have the ideal coach, even those players who are coached by national celebrity coaches. After all, coaching is a tough profession. With all the time and intensity involved in a player-coach relationship, some problems along the way are inevitable. But don’t let those problems allow you to lapse into negative thinking. Forget about the ideal coach and spend your time thinking about being the ideal player. Forget about the ideal coach and spend your time thinking about being the ideal player. Consider your not-so-great coach as good training for life, and get on with it. 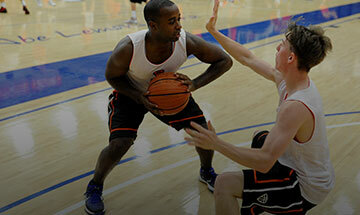 Practice being coachable, and a joy to coach, and focus on the best performance possible.